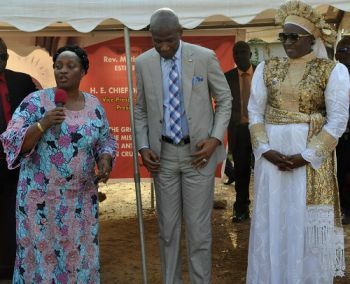 Monrovia, Liberia - A renowned Nigerian Prelate, Reverend Mother Esther Abimbola Ajayi, has ended her four days visit here in Liberia as guest of Vice President Chief Dr. Jewel Howard-Taylor, fulfilling her commitment to threeinstitutions that are catering to people with disabilities in Liberia. Mother Ajayi, who made the pledge during her visit to Liberia back in November 2018, also presented a two 29 sitter- bus each to the Mission of Hope in Jacob Town in Paynesville and the Group of ’77 in addition to a mini-bus to the Antoinette Tubman Cheshire Home in Sinkor. Meanwhile, the people of Todee District, Montserrado County, have officially turned over one hundred acres of land to Mother Ajayi to be used for farming purpose for the promoting agriculture in the country. Presenting the Tribal Certificate to the land Wednesday, January 17, 2019, in the District, Montserrado County Superintendent Florence Brandy said the people of Todee are excited by this meaningful move by Mother Ajayi. She added that her office will ensure that an additional fifty acres of land will be added making it a total of 150-thousand acres. 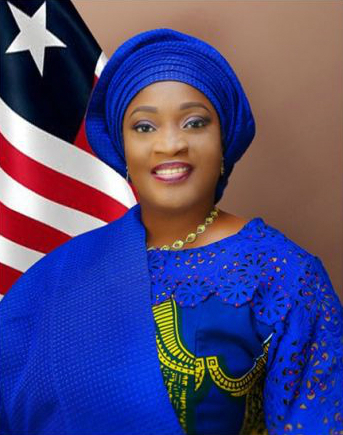 Receiving the Certificate, Mother Ajayi revealed her intention to engage in rice and pepper production with the aim of empowering the locals in the District.